PC gaming is usually known for the elitist. Purist gamers who play triple A titles in the best way possible as well as golden oldies alike. Consoles still play the best games out there, but at a lower resolution and graphical quality. Yet consoles offer ease of access and are far cheaper. 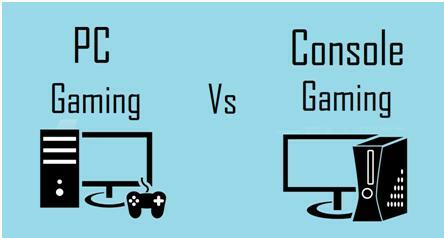 Both have their pro’s and con’s, and it pretty much depends on the type of gamer you are. 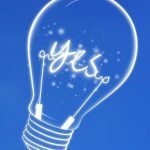 The choice can prove difficult, this article looks at some of the key factors that can help you choose which to go for. If you decide a computer is for you, then great. There are some brilliant custom personal gaming computers out there for you to try out. But the first issue is the price point. A gaming computer can cost in excess of a thousand, whereas consoles usually come to around 250, depending on what package you go for. You can get a good quality gaming laptop that can play games on high, but not the highest setting for around 650. These price points may startle you, especially if you wanted to purchase a PC. However, you can dig deeper. You’ll have to purchase individual games for each platform, but with consoles you have to pay extra to play online, which usually comes at a monthly subscription. If you add this up over the year, the added amount may make you realise the two are closer matched than previously envisioned. Also, there is additional hardware to purchase on consoles such as motion sensors, cameras, and the new virtual reality gear. So if you want it all the price will be much higher anyway. However, if you can make do with just the basic gaming package, the console wins the price war hands down. Unless of course you are looking for a new computer anyway, in which case the cost will be further mitigated. You also need to look at what your friends are doing. Gaming is fun, but even better when enjoyed with friends. If they are all using specific consoles you would be better enjoying those, instead of getting something completely separate. This way you can play together instead of apart. Comfort is another key factor. If you are thinking about getting a computer, you may also need to shell out on a nice chair. PC’s are stuck in one place, so you may be trading comfort by having to sit at a desk instead of a sofa. Laptops of course change this, they can enable you to to sit wherever you want to. You need to think about this before you make your mind up. The graphical power is a huge consideration to make. PC’s make new games look way better than consoles. They can handle more texture, more colour and more going on at any given time. If you are a graphical purest then computer gaming is for you. Yet the gameplay is matched on the console. If you are just in it for the gameplay and don’t mind too much about the graphics go for the console, because it is just the same.